The yen has been one of the strongest currencies among the majors over the past six months. Should fears of recessionary conditions grow, demand for the safe haven currency is set to rise. I take a bullish view on the yen. 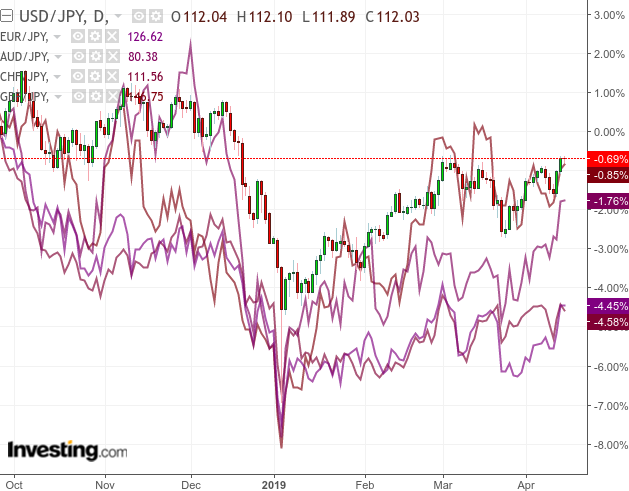 The yen had undergone some weakness back in 2018, given that the United States had been on a solid trajectory in raising rates, and the ECB had originally set a timeline for doing so in 2019. However, with the Federal Reserve running out of leeway to raise rates further, along with the ECB postponing rate rises due to economic growth concerns in Europe, the yen appears to have gained significantly as a result. This is still quite contradictory to the Bank of Japan’s monetary policy as a whole, however. Indeed, with six years of monetary stimulus having failed to boost inflation to the 2 percent target, the central bank now seems to be prioritising growth in the economy, wages, and employment as opposed to inflation for its own sake. Indeed, the Bank of Japan has signaled that there is still room for interest rates to go lower if necessary – even though that is not the case at this point. While a former BOJ executive director states that there is “no chance” of rates going below -0.1 percent, the central bank might lower rates down to that threshold if necessary to stimulate growth. However, what is really happening with growth in Japan vis-a-vis Europe and the United States? That said, it would appear that it is fears of recessionary conditions across Europe and the United States that are resulting in a stronger yen – domestic Japanese growth and low interest rates have not prevented the Japanese yen from acting as a safe haven. Even if the BOJ were to reduce rates further in the presence of recessionary conditions, it is likely that the yen would still rise as rates in Europe and the U.S. could also be coming down under such conditions. 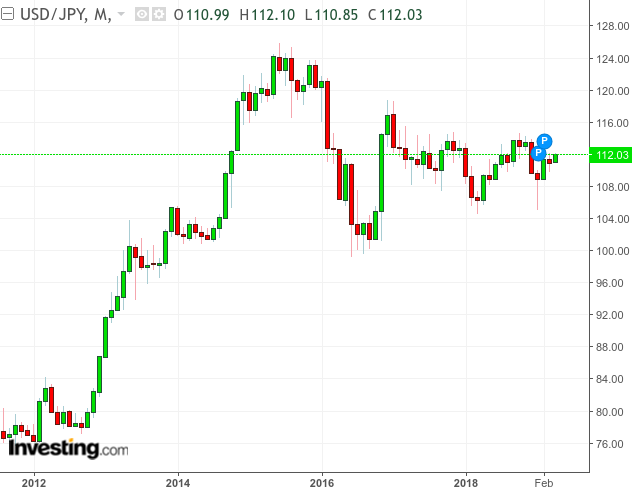 Moreover, when one takes a look at the monthly chart for the USD/JPY, we see that the dollar is still trading significantly above the 100 level against the yen last seen in 2016. In this regard, this could indicate that the yen still has further room to rise against the greenback should demand for the safe haven currency continue to rise. To conclude, the yen looks like it is set to keep rising, in spite of domestic monetary policy measures. Should demand grow for safe haven assets, along with growing possibilities that rates in Europe or the United States could be cut in response to a recession, then I expect significant strength from the yen.